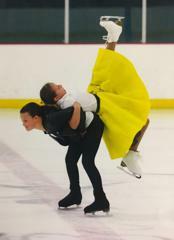 Within the singles freestyle discipline there are a variety of competition events that can be performed at any of the above skating levels: Freestyle Events and Artistic Events. 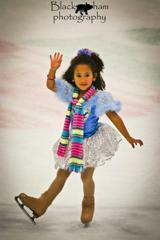 In compulsory programs, there is no music and the skater is only permitted to use half the ice. Each compulsory level has different required elements that the skater must perform using a limited number of connecting steps. The order of required elements is determined by the skater. The skater must demonstrate the required elements and may use but is not required to use any additional elements from previous levels. A deduction will be taken for each element performed from a higher level. 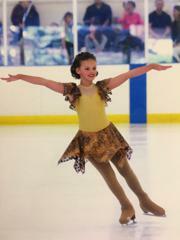 In freestyle programs, skaters skate to music and use the full ice. At the basic skills levels (Snowplow Sam - Freeskate 6) the skater is required to perform certain elements and is judged on their execution of these elements. Starting at the No Test level, skaters start to be judged not only on execution of an element, but also its level of difficulty. 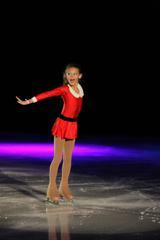 At the Pre-Preliminary level, skaters have the option of competing 'Test Track' or 'Well Balanced'. Test Track is judged on the requirements needed to pass the official US Figure Skating test, making it easier than Well Balanced. 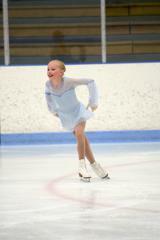 For example, a Juvenile test has a single axel as the most difficult jump. 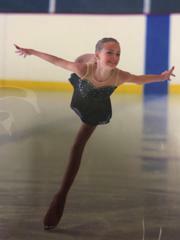 However, to compete Juvenile Well Balanced, skaters are expected to have double axels. Test Track is good for skaters that are trying to pass freeskate tests as it helps them prepare for the tests they are aiming to pass. 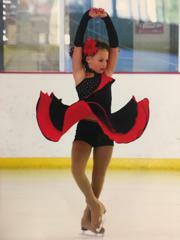 At the Intermediate level, skaters must have a Short Program and a Long Program. 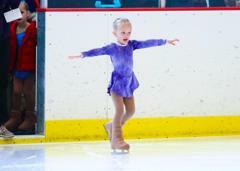 Basic skills programs are typically judged subjectively while Well Balanced, Pre-Preliminary and above programs may be judged using IJS where points are awarded individually for each skating element, and the sum of these points is the total element score (TES). A skater's total score is calculated by adding the component score and the total element score (TES). 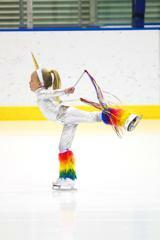 A jumps event is similar to a compulsory event in that there is no music and the skater only skates on half the ice. In a jumps event, the skater is required to perform 3 different jumps based on the skater's level. Jumps are judged solely on execution. 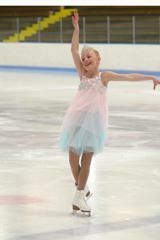 A spins event is similar to a compulsory event in that there is no music and the skater only skates on half the ice. In a spins event, the skater is required to perform 3 different spins based on the skater's level. Spins are judged solely on execution. 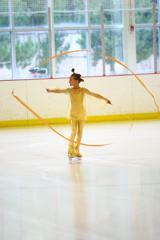 Interpretive or Improvisation events allow the skater to focus on the expression or performance aspects of their program. In this discipline the skaters must independently design (or choreograph) their own program to music preselected by the competition committee, and unknown to the skaters until 20 minutes before the competition. 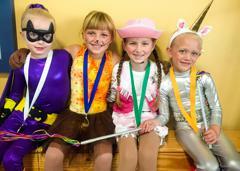 Programs will be judged on artistic impression, choreography and pattern, creativity, and musical interpretation. Showcase Light programs should have a “feel good” nature. 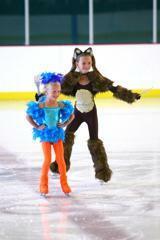 Skating attire must fit the program and be appropriate for a family event. 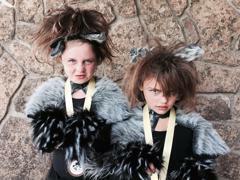 The idea is to entertain the audience. 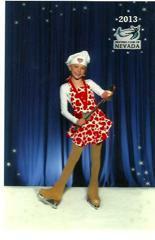 Hand held props (no glass objects) are allowed and can be set down on the ice. 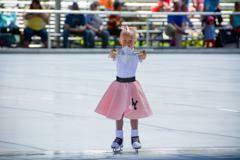 Movements are to be selected for their value in enhancing the skater's artistry and interpretation of the music rather than for the technical difficulty of an element. There are no requirements for jumps and spins, except that the difficulty may not exceed the equivalent free skating level. Cartwheels are permitted. Credit for jumps or spins will be based solely on the choreographic effectiveness. 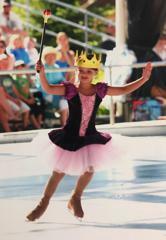 Showcase Dramatic programs are typically a serious, emotional and artistic interpretation of the music. All other aspects of the competition are the same as Showcase Light Entertainment.